August 11, 1984: President Ronald Reagan makes quite possibly the most twisted joke of all time during a radio check. 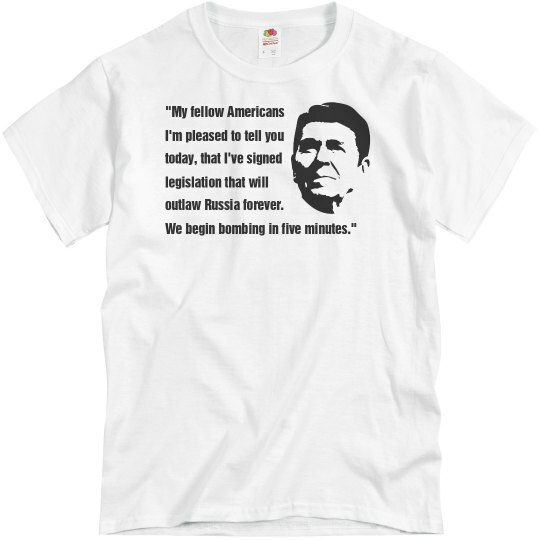 Custom Text: "My fellow Americans | I'm pleased to tell you | today, that I've signed | legislation that will | outlaw Russia forever. | We begin bombing in five minutes."